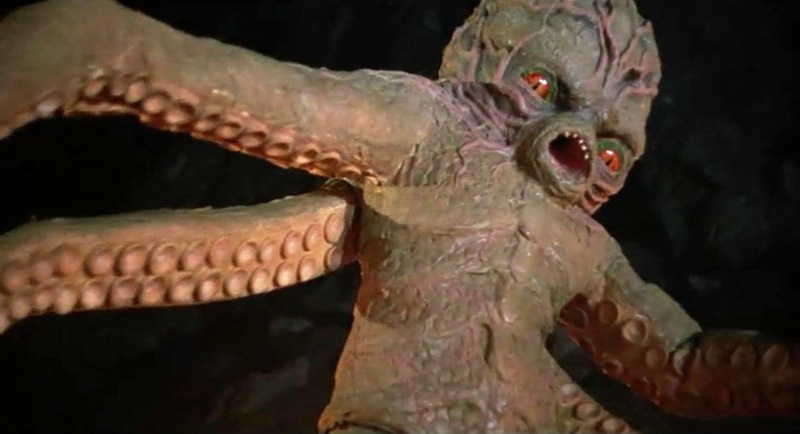 Today’s movie is Octaman, which features a human-octopus hybrid suit designed by repeat Academy Award winner Rick Baker. 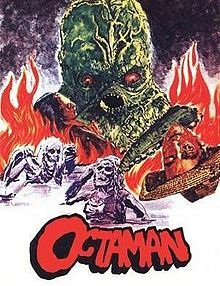 Octaman was written, directed, and produced by Harry Essex, who was also behind such films as It Came From Outer Space and Creature From The Black Lagoon. The cinematographer on the film was Robert Caramico, who also shot numerous episodes of the television shows Just Shoot Me and Dallas, the Fred Williamson blaxploitation western Boss (that’s, uh, not the original title), and Ted V. Mikels’s The Black Klansman. The effects team for the movie included Academy Award winner Rick Baker (An American Werewolf in London, Men in Black, Ed Wood, Wolf, Videodrome, It’s Alive, It Lives Again, Black Caesar), Doug Beswick (Aliens, The Terminator, Evil Dead II, Ghostbusters), and Ron Kinney (Wild Riders, The Cremators). 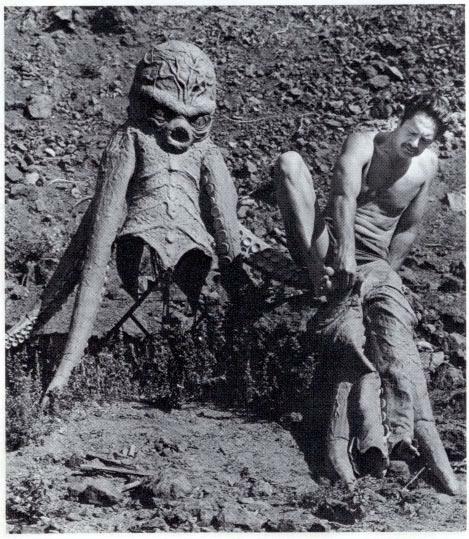 Beswick and Baker specifically designed the Octaman suit, under the belief that it would be kept in shadows and obscured for most of the film. Unfortunately, that wasn’t the case. The cast of Octaman included Pier Angeli (Battle of the Bulge, The Angry Silence), Jeff Morrow (This Island Earth, The Giant Claw, The Creature Walks Among Us), and Kerwin Mathews (Jack The Giant Killer, The 7th Voyage of Sinbad). 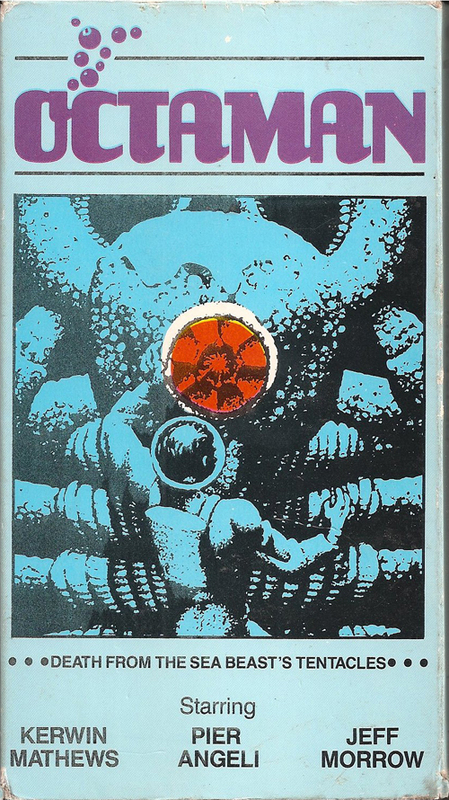 The story of Octaman is delightfully straightforward: a team of scientists stumbles upon a mysterious mutated hybrid of an octopus and a human, and the creature proceeds to make all of their lives miserable and significantly shorter. Footage of Octaman shows up under a variety of different titles in movies like Gremlins 2 and Fright Night, as an homage both to the influence of Rick Baker as an effects master, and as a throwback to traditional, b-level horror and monster movies. The reception to Octaman was unsurprisingly negative, and it currently holds a 3.5 rating on IMDb, alongside a 23% audience score on Rotten Tomatoes. Octaman is a movie that feels, looks, and sounds misplaced in time. The movie could have been made any time from the tail end of the 1950s to (particularly cheaply) in the 1980s, and I don’t think it would look or sound all that different. It is a curiosity of a film that rides the line between being an homage and legitimately being the thing that it is trying to send up (honestly, I’m still not 100% sure which this is). The suit itself is probably the most impressive aspect of the movie given the budget, but the way it is shot and used is just hilariously awful. It is a real testament to the importance of cinematography and editing when it comes to movies with practical monsters, because the way it is shown on screen makes all the difference between it being intimidating and it being impossibly goofy. Speaking of which, the lighting throughout the movie is astoundingly terrible, and most of it comes off looking like incomprehensible blackness (except for the monster, the one thing that should be kept a bit obscured). For most of the film, it is a chore to parse out what the hell is supposed to be happening on screen, because all of the colors used are on a scale of pitch black to relatively dark blue. Octaman uses a few moments of monster point-of-view shots, which popped up here and there throughout the history of b-movies. 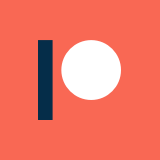 However, it became particular famous for its use in highly-acclaimed, b-movie influenced films like Jaws, Predator, and Halloween. 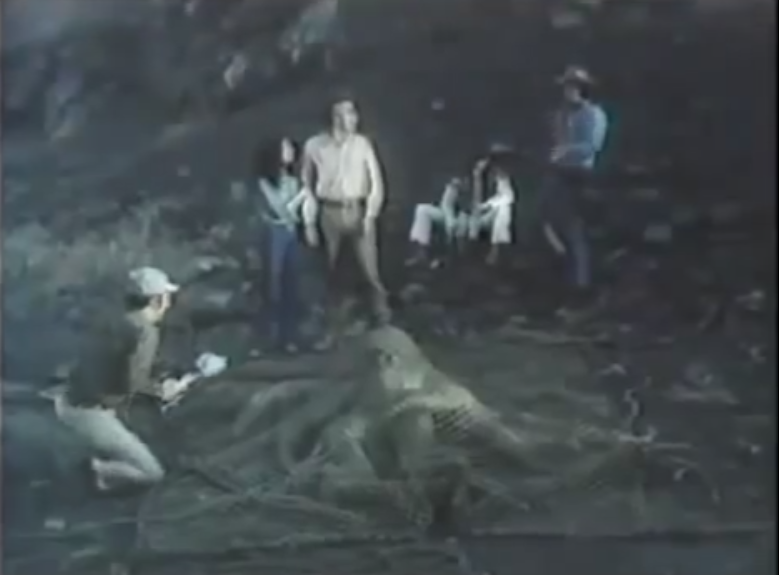 The only real highlight to the film comes when a plot is executed to capture the monster by confusing it with strobe lights and encircling it with fire, in order to “burn up the oxygen all around him.” Astoundingly, this works, and the team throws a net over the monster and calls it a day. That part of the plan, however, doesn’t turn out so well. Overall, Octaman is a pretty run-of-the-mill, cheaply made b-movie. If not for Rick Baker’s involvement, it would probably only amount to a footnote in the history of bad movies. However, Baker’s participation and future success adds an element of trivia to the movie, which makes it moderately more worth checking out. Personally, I think the movie is pretty dull, but I’d recommend looking up some clips and photos of the suit in action to get an idea of where a 12-time Academy Award nominated (and 7-time winner) effects guru comes from.